Wed., Dec. 20, 2017, 11:51 a.m.
WASHINGTON – Congress dealt a pair of blows to the Obama health care law Wednesday, including a retreat by two senators who were fighting for a provision this year that would help contain premium costs. GOP Sens. 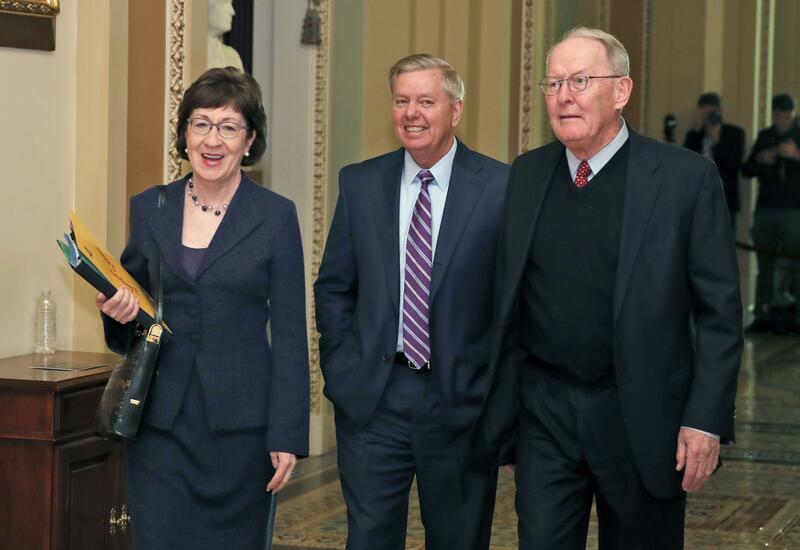 Susan Collins of Maine and Tennessee’s Lamar Alexander ran into opposition from both parties on their measure to restore federal payments to insurers which helps curb premium costs. They said they’d pursue the effort early next year. There is no guarantee it would be approved. For Collins, the setback was particularly embarrassing. At one point she’d made her vote for the GOP’s $1.5 trillion tax bill contingent, on part, on a commitment from party leaders to push the federal subsidies for insurers into law this year. Collins backed the tax bill, which cleared Congress on Wednesday. Separately, congressional leaders hope to approve a bill this week preventing a partial federal shutdown on Saturday and temporarily financing government into January. Collins and Alexander hoped to include the insurers’ subsidies in that must-pass bill. Conservatives who oppose buttressing Obama’s 2010 statute in any way have long opposed a bipartisan bill by Alexander and Sen. Patty Murray, D-Wash., reviving the subsidies to insurers. Trump halted those payments this fall in an attempt to weaken Obama’s law, and conservative opposition always left the bipartisan bill’s House fate in doubt. The other setback to Obama’s law was contained in the tax bill itself. It would end the tax penalties Obama’s 2010 statute imposes on people who don’t buy insurance. That provision is aimed at prodding healthy people to purchase coverage, which helps contain premiums for all customers. The nonpartisan Congressional Budget Office has said repealing that penalty would produce 13 million additional uninsured people and push premiums higher by an average 10 percent. The number of uninsured people would grow mostly because fewer people would be expected to get coverage under Medicaid or by buying individual policies. Democrats originally backed the Alexander-Murray bill. But they dropped their support for it when Republicans added the language repealing Obama penalties on people who don’t buy insurance to the tax bill. They did that because they didn’t want to ease the political pain they say Republicans are inflicting by erasing those penalties. Published: Dec. 20, 2017, 11:51 a.m.